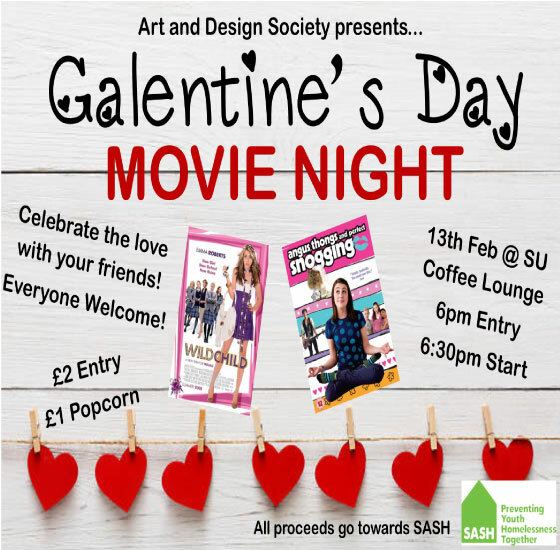 Join the Art and Design Society in the SU Cofee Lounge to celebrate Galentine's Day this February 13th! Enjoy a chilled night of classic romcoms like Angus, Thongs, and Perfect Snogging, and Wild Child! All proceeds from the night will go towards SASH, a charity helping prevent youth homelessness in North and East Yorkshire.